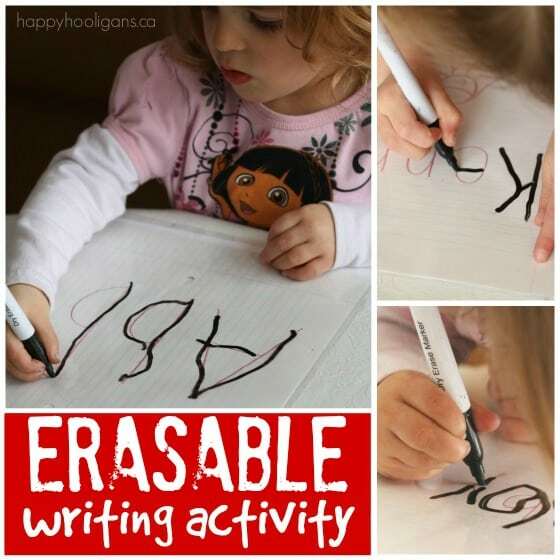 Here’s a fun erasable writing activity that you can easily make for home or daycare. 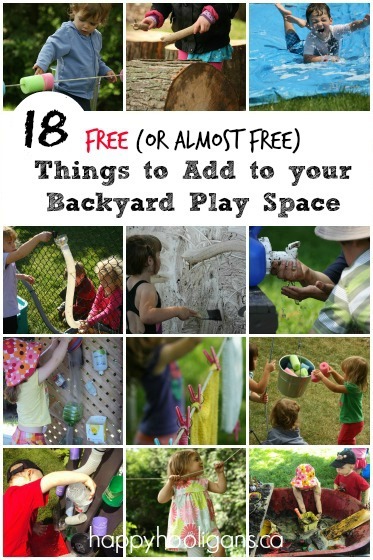 Kids LOVE these homemade, reusable worksheets. 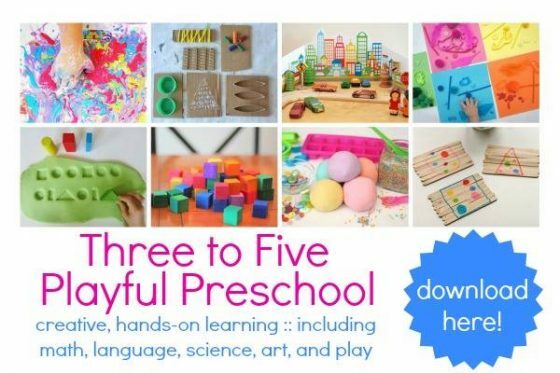 They’re great for teaching preschoolers how to form letters and numbers, and how to print their names and simple sight words. 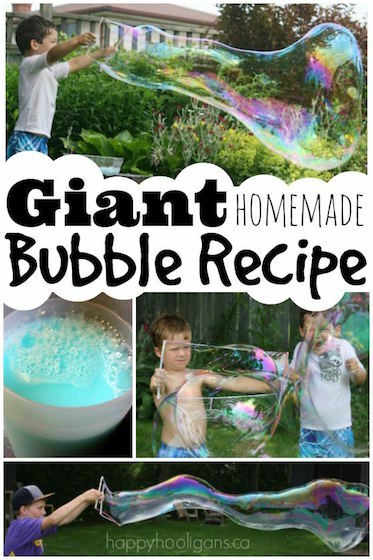 To make this activity, you just need some plastic page protectors. They make excellent erasable worksheets because dry erase markers write well on them, and they wipe clean with a quick swipe of a cloth. 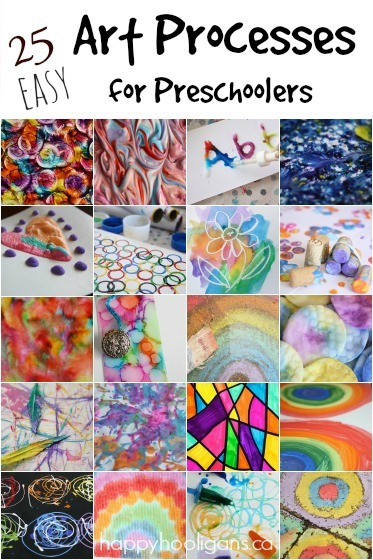 You design the activity sheets, pop them into the plastic sleeves, and your child can write and erase over and over again. Make your worksheets on lined or plain paper. 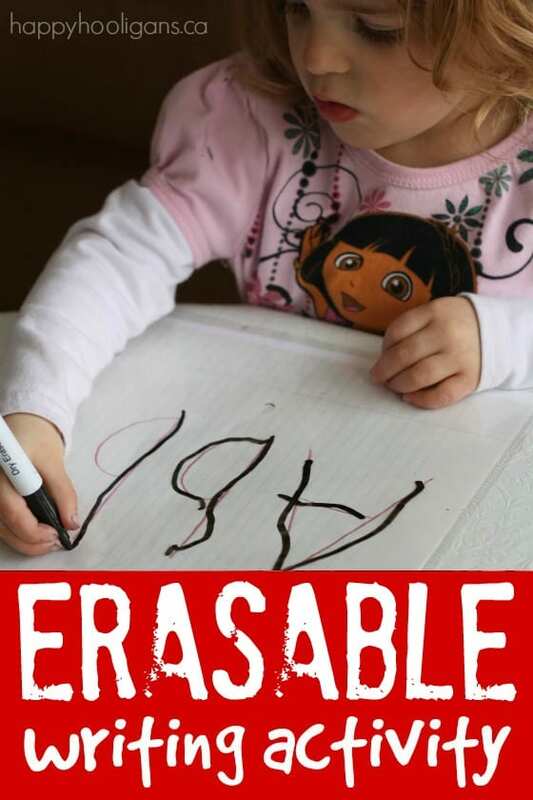 Simply write out the letters/numbers/word that your child will trace, and pop the paper into the page protector. 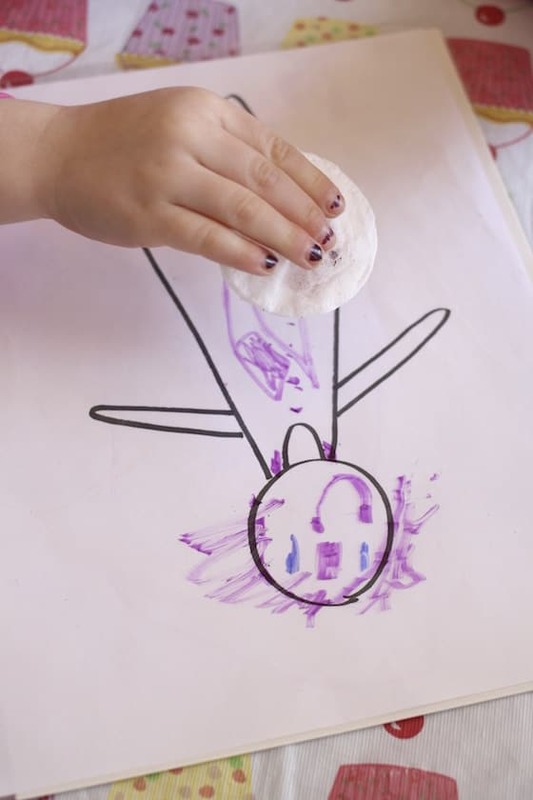 Now, set your child up with some dry erase markers and a little cloth for wiping her worksheet clean. 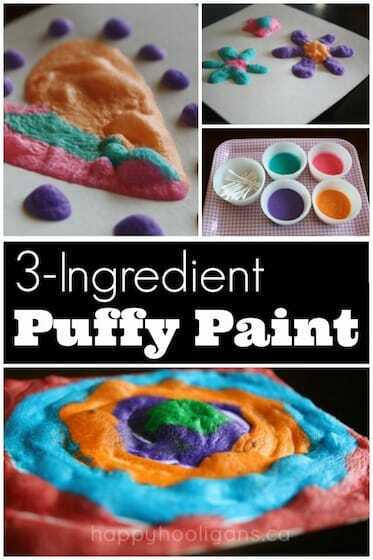 A scrap of flannel, an infant washcloth, a kleenex or a cotton make-up pad all work well. You can see here how much the hooligans enjoy this activity. The youngest children especially love the name sheets. Kids love learning to identify and print their name. 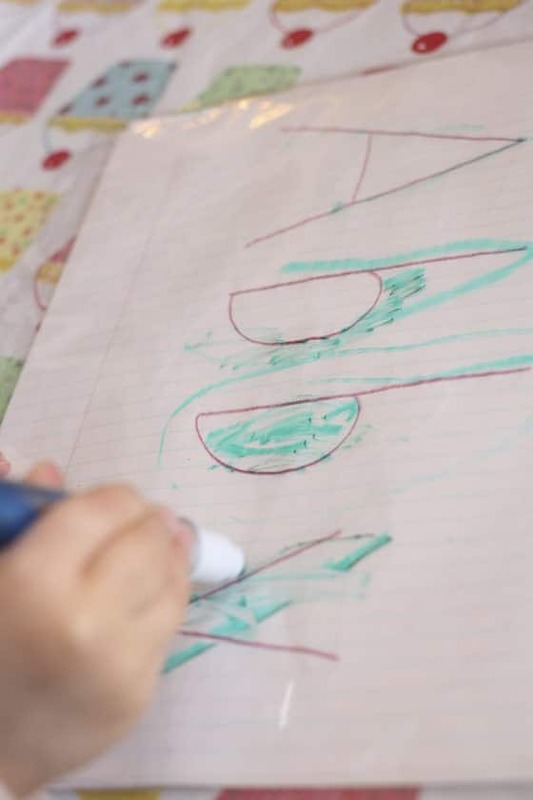 They feel so proud when they can form those letters by themselves, even if they are just tracing them. 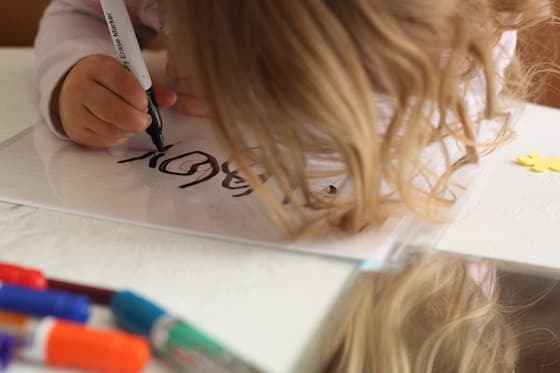 If your child is quite young, she may just enjoy colouring on and around the letters of her name. That’s ok! 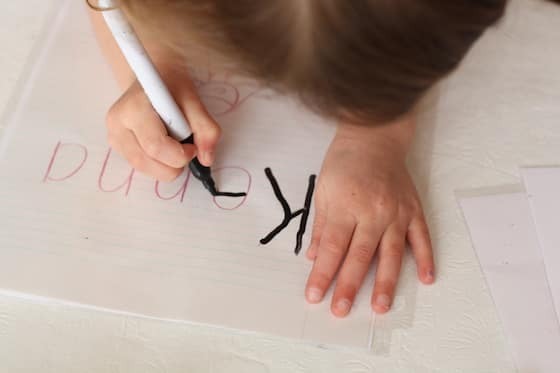 She’s becoming familiar with the shapes of the letters , and holding the marker will help to strengthen and develop her pencil grasp. In addition to the name, letter and number sheets, I’ve made some erasable drawing & colouring sheets as well. Here’s one that the kids love. It’s a simple outline of a person, and the kids fill in hair, the details of the face, and they decorate the clothing. And of course, the “funnest” part is erasing the activity sheets clean, and starting all over again. Store your worksheets in a 3-ringed binder, and you can take your erasable writing activity on the go! I always am concerned that dry erase markers are not washable and the ink that may end up all over their hands. You don’t have that problem? Not at all. They’re very much washable. 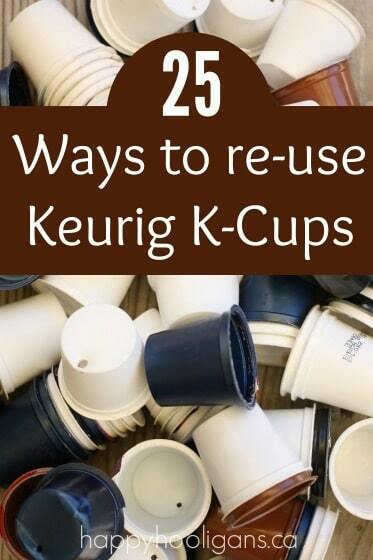 Excellent idea. 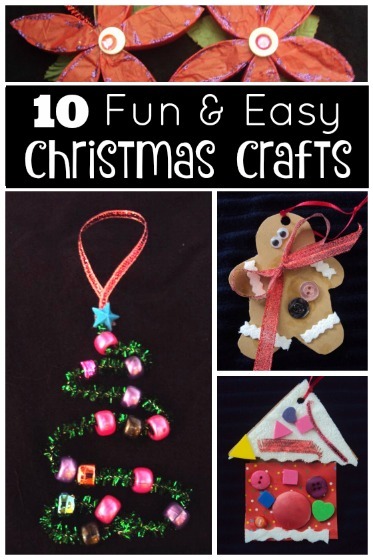 I used to make these for my students all the time when I was a primary school teacher. Works great!